If you’ve ever trusted a physical therapist, chiropractor, or any healthcare provider but are still in pain….we are sorry! We understand making a decision takes a lot of courage. You open up about your pain and give your hopes for a brighter future to an individual who is there to support you. It can be a vulnerable process. But unfortunately, there is always a chance for disappointment. You may still be in pain, you may regret wasting your time doing exercises that didn’t help, you may resent that you spend so much energy into something that failed. But I urge you, please do not give up. And I give this example to give you clarity. If you needed a roof fixed on your house and you talked to one company, how do you know there is not a more qualified service out there? The same goes for pain. Just like any industry, there are specialists who are just poor at what they do…. Only a few are exceptional at what they do! Set high standards, and make sure you never tolerate anything but the best for your recovery. Your health and future are way too important! For this reason, we have designed a FREE Discovery visit to On Track Physio to meet us before ever making a commitment. It’s our way of showing you the difference and expertise we have in this field! The idea is simple: if you ignore minor aches and pains, they rarely just magically disappear. Instead, they start to amplify by volume or intensity. Causing you to reach a painful threshold where a TRUE injury happens and more extensive intervention is required. The research actually supports this concept - but only if you know how to dig a bit deeper. One study in particular is this Scandinavian study of patellar tendinopathy in junior basketball players. This study had 134 teenagers (268 total knees examined) and found that only 19 tendons presented clinically with symptoms. However, under ultrasound diagnostic examination, 22% of the remainder of the group who had no pain, could be diagnosed with tendinopathy. In other words, "ultrasound tendon abnormality is 3 times as common as clinical symptoms or being in pain." This study just looked at teenagers, who are markedly less likely to have tendinopathy than older individuals. What if they did this study on middle-aged men playing hoops at the local YMCA. The point is that whether you have symptoms or not, you likely have some changes in your tissues. Now to be honest, this study isn't particularly shocking to anyone who's looked at MRIs of asymptomatic (not in pain) individuals. The point I am making is that if we just treat a person’s image we are missing the boat. It’s also a reminder that we often have several issues that might just be waiting to reach a painful threshold if we aren't cognizant of our training volume and intensity - and our movement quality. The country background in me refers to these slight movement problems as a bit "wobby jobbered". In other words, something is a bit “off” and not necessarily a problem currently but could be a contributing factor to something down the road. Maybe it's that cranky knee first thing in the morning, but feels good after you warm it up. Or, it's that stiff neck you get after a few hours of working at the computer, but feels better after your spouse massages your neck (ha yea right!). Or maybe its a shoulder that bugs you only when you bench press, but feels pretty good when you do rows instead. Maybe it's seeking out some extra manual therapy in a specific area that we provide at On Track Physio. Maybe it’s a more individualized home program or warm-up to address movement issues. It might even be that you strategically drop particular exercises from your program at various points during the year. If nothing more, understand that good training and movement teaches your body how to spread stress over multiple joints. Instead of that cranky knee taking on 90% of the load, we work on hip and ankle mobility and strength so that it might only have to be 30%. Spreading out the stress ensures that one area is less likely to feel “wobby jobbered”. Distribute stress requires you understand what quality movement actually looks like, and that's unfortunately where a lot of healthcare professionals fall short. Which is why we offer a Free Discovery Session to all new clients in order to experience the difference at On Track Physio! To many people fall to these 4 common mistakes when getting out of pain. Ultimately leading to longer recovery times, frustrations, and unnecessary dollars spent at the doctors office. When you get these 4 things right, often times you get back to the things you enjoy most in life much sooner! This may sound counter intuitive, but stick with me here. Treating the symptoms may momentarily help your pain. But more than likely it does not solve the root problem which put you in this situation. Solving the root problem is the key to never having to deal with the issue again. While we do things at On Track Physio to help ease your pain. We also always talk about solving the root problem, and we are always testing movements out to make sure this is actually what we are accomplishing. Reach for some medication, go to your primary care physician who prescribed the medication. You go to a surgeon who recommends surgery. Is surgery and reliance on medication what you really want? Broaden your horizon to other options that are out there which can solve your problems. People spend more time searching for hotels on vacation then they do a healthcare provider. Do your due diligence, don’t assume, and trust the person giving you medical advice. Media, our family and friends, facebook, etc they all give us preconceived notions which aren’t always true. A lot of times healthcare providers and people in general will be searching for just one problem. When in reality, our bodies are much more complex than that. Focusing in on one things is doing your body an injustice. Focus on treating the human body as a whole and you will get a much better outcome. How long will it take?? Will my insurance cover it?? But let me ask you this…..What is you pain costing you right now? What are you currently missing out on right now because of your pain? What relationships is it affecting? What activity with friends and family can you not do because of the limitation? What is that costing your right now??? What is the cost of not taking action? The cost of not taking action will be exponentially worse than the little things you are focused on right now. Again, go back to #3. Do your due diligence and find someone you trust to give you the outcome you desire. If you’d like to see how On Track Physio can help you, we make it as easy as possible to remove barriers. Our goal is for you to start taking action. We provide a FREE Discovery visit to give you clarity on what the problem is, so that you can take action (whether that’s with us or someone else). Our goal is simple, give you clarity on the steps necessary to improve and start taking action. Achilles tendinitis is a common complaint in the active population. It starts becoming more common with people in their early 30s or 40's, but can certainly impact people of all ages. It tends to develop for a variety of factors. Usually the onset is associated with some type of quick spike in activity levels. Something such as increasing mileage of a run, or summer starting and you jog outside on different terrain, etc. It could have also been the addition of playing another sport or including more dynamic movements in an exercise program. Either way, looking at the activity levels over the last month usually (not always) gives you a better idea of what may have predisposed the area to aggravation if it wasn't first gradually exposed to the task over time. Once you are in pain or dealing with an achilles issue the game starts to change. As usually just resting and icing does not seem to alleviate the problem. If it would, you would notice relief in 3 weeks or less. The other problem is that maybe you did get quick relief from resting, but you continue to re-injure or aggravate the issue when you try to resume your normal activities. Aside from activity modifications that do not place as much dynamic demand on the achilles, the second order of business is to start building strength and capacity back up into the tendon. After an achilles injury or strain happens, the tendon itself is weaker and does not have the loading tolerance it used to have. We address this through the Alfredson protocol. The alfredson protocol is a well researched exercise protocol that helps with achilles tendon injuries. The one caveat is that this is a pretty aggressive and demanding exercise program and is not appropriate for everyone. Being too aggressive with this protocol can cause a lot of extra unnecessary soreness. We have treated a number of these cases over the years and found ways to make the exercise easier or harder based upon the clients skill and injury level. Furthermore, we have found great success with modifying the load and reps to what is correct for the particular individual. On top of this, we perform various soft tissue treatments in conjunction with the exercise program. The purpose of this would be to allow for more comfortable performance of the exercises. We tend to favor cupping for this but other methods may certainly be used as well. In total, most clients do not see us more than 1x per week for this issue. In some more extreme cases we go 2x per week until the pain is more under control. To learn more about how we can help you recover FASTER from this issue, sign up for a free discovery session below. About the Author: Dr. Greg Schaible is a physical therapist/strength coach specializing in athletic performance. He attended The University of Findlay, graduating in 2013 with his Doctorate of Physical Therapy (DPT). As a Track and Field athlete, he was as a 5x Division II All-American and 6x Division II Academic All-American. Greg is the owner of On Track Physiotherapy in Ann Arbor, Mi. You can stay up to date with helpful information and news on Facebook. Simple analogy for one of the most often questions I'm asked on a daily basis. "Why did (insert body part) get hurt when I didn't really do anything to cause it? Watch to video below to learn more. It's about recognizing what needs work, and picking 1-2 things that are most efficient at addressing it to help prevent "stepping on the lego". If pain is present, then finding 2-4 things to do which are most efficient and do them often until the mess is cleaned up. My job is to find what it is that will be most efficient to helping you clean up the mess and keep in cleaned up for the future. If you are going to trust a healthcare provider with your recovery, it's important to know what distinguishes high quality from poor quality. After reading this post you should know the difference so you can ask the right questions before getting started. That way you never have to experience poor care! This is my rant for the month. A good amount of the clients we see, come to us after having failed elsewhere or by another healthcare provider. Some have felt pretty much ready to give up and ‘just live with it, until they were talked into giving us a try by previous clients of ours. In most cases these folks tell me that they were actually only seen briefly by their healthcare provider. Maybe some quick hands on treatment, then out the door. Very little or no education/guidance was given on their injury or issue. Those who do have longer treatments tend to be passed off to a lesser qualified personnel or just left to do their exercises on their own most of the time (since the therapist/clinician was busy with other patients). Needless to say the results were not what these folks were hoping they would be! Generalized treatment leads to generalized results. Delegated care leads to less educated professionals providing less skilled treatments. Ultimately landing you with a watered down treatment approach that results in poorer outcomes and breakdown in communication...... Not to mention that these business usually try to make up for lesser quality of care by having you come in more frequently than necessary in hopes that their outcomes will improve at the expense of your precious time! At On Track Physio, we guarantee this will not be your experience. We even back it with a money back "Love it or Leave it" guarantee! Something you never see in healthcare..... If you’re going to spend your hard earned money on our services then it should be focused on YOU and the outcome you are trying to achieve! 1) Time is actually taken to listen to and understand YOU, and your story about the path which lead you to your current state or current issue. 3) Time is taken to perform multiple assessments each and every visit to best ensure that the intervention given will be most likely to produce the outcome which is desired. 4) Time is taken to demonstrate, teach, and coach the exercise or intervention so it is done properly. But is also repeatable for you to do at home independently of a healthcare provider. This gives you the best possible chance of achieving the desired outcome. 5) Consistent communication throughout the entire plan of care to avoid setbacks. 6) Truly skilled clinical experience and knowledge/understanding of how the entire body works as a unit. Focusing on just the painful area will get results some of the time, but the majority of the time there is multiple contributing factors. Note: Notice how items 1-4 emphasized time. If your provider is constantly juggling clients or passing you off between provider. Your TIME would be best spent elsewhere! Obviously we are biased..... At On Track Physio we guarantee that we will show you all 6 of these traits to receive high quality care. If you would like to experience this quality of care, please feel free to reach out to us via phone, email, or schedule a time for a FREE Discovery session. This session is all about giving you the TIME needed to make a good choice in your health. Low back pain is a very common problem, and is a topic that comes up often when people find out that I am a physical therapist. The problem with low back pain is that there are a number of different factors that could be contributing to the issue. Without a thorough evaluation, it is impossible to give a direct recommendation. Please don’t think that I am trying to weasel out of the question, but low back pain is probably the most complex area to treat and generalized recommendations get generalized results. With that being said, the purpose of this document is to give you useful information and take home points that can help give you some relief today! If you understand the functions of the segments above and below the low back, a solid correction program can be initiated. The picture above provides a simple summary of the movement capabilities in different areas of the body. Front and center is the low back, which as you can see, the main function in this area is stability. Above and below the low back are your hips and thoracic (mid) spine. Both of these segments require a great deal of mobility. If you think about this for a minute, it makes perfect sense. The joints with the greatest natural range of motion and degrees of freedom are intended to be mobile, and those with limited ranges are intended to be stable. If areas that are supposed to be mobile do not function optimally, then the body is going to have to create the mobility somewhere else. Most of the time this happens at the expense of areas that are intended to be predominantly stable (in this case the back). One of the biggest mistakes some people make after getting back pain is they stop moving completely because they are afraid of making it worse. The problem with this is that if you want to get out of pain, you’re going to have to start moving at some point. Doing absolutely nothing will do absolutely nothing to give you relief. It may sound obvious, but find different movements and positions that don’t cause as much pain then repeatedly get into those positions and movements until things start to ease up a bit. When your back or hip pain is affecting the way you walk, sit, get out of a chair or drive, its definitely time to do something so this doesn’t last longer than it needs to for recovery. Below is a very simple example that often times many people can start doing early on in their recovery process. I realize point #2 and #3 are the same thing. This was done on purpose, because I like action takers and people who are proactive about getting better. Now as prefaced in this guide, back pain can manifest itself in a variety of ways and a variety of intensities. So if your back pain is severe, be sure to start this exercise out slowly in a small range of motion and move on from there. If you feel your pain is worsening, please use common sense and stop (it should go without saying, that this exercise may not be for everyone). With all that being said, here is one of the easiest exercises I have found to start easing back pain and get someone moving again after treating hundreds of people over the years with back pain. The simplest way of telling if you are naturally too extended or compressed in the back more so than normal is to lay flat on your back and look at your ribcage. If you identify a large rib flare on one or both sides, this could be playing a role in your back and hip symptoms. Below is a picture of what I am talking about. Here is a simple exercise that you can do to help combat this issue and relieve some compression at the back. Note: this exercise is only scratching the surface on how we can address this issue. Having a trained eye watch how you move through different ranges of motion and see where limitations might exist in hips, spine, among others. This will often direct which set of particular exercises and potentially manual therapy techniques would be most important for your particular set of limitations. Sometimes generalized exercise and soft tissue work will not do the trick. This is why we at On Track Physical Therapy will take you through a movement assessment every visit and multiple times per visit. It allows us to be very targeted in what we do as opposed to throwing things out and hoping something sticks. This allows us to help you get off painkillers, get some sleep, and continue to move as fast as possible. If that sounds like something you’d enjoy, then let us know by filling out this quick questionnaire below and inquire about a FREE Discovery Visit. About the Author: Dr. Greg Schaible is a physical therapist and strength coach specializing in athletic performance. He attended The University of Findlay as a student athlete. As an athlete he competed in both Indoor and Outdoor Track & Field where he earned honors as a 5x Division II All-American and 6x Division II Academic All-American. In 2013 he completed Graduate School earning his Doctorate of Physical Therapy (DPT). Greg is the owner of On Track Physical Therapy in Ann Arbor, Mi. Follow On Track PT and Performance on Facebook. Ann Arbor, Mi - Below is a video of a physical therapy session just 8 weeks out from a Total Hip Replacement on the right. She attended physical therapy 1x per week, with an extensive home program. As you will see, she is already moving around like a champ! Strength Training can benefit you at any age when prescribed properly and applied at correct dosages. The best part about this is when she tells me that she can walk 3 miles without any issues. She is looking forward to walking on the beach in an upcoming vacation. And my personal favorite was this story: while on a boat with her girlfriends, no one could pull up anchor on the boat. So she stepped up and pulled it out for them first try! “I was referred to Greg by my personal trainer, Mike. Greg has treated me for elbow and knee issues, however the biggest, and most important issue, was my total hip replacement. Greg and Mike worked together before my surgery to make sure my muscles were strong, and ready to take on the challenge. I passed the physical therapy test at the hospital the very next morning after surgery, and was released that day! The PTs at the hospital were very impressed with my strength and ability to walk quickly. When it came time for me to attend physical therapy at the gym with Greg, he was amazing! As my first session was about to begin, I was very anxious, but Greg led me through simple exercises, and as the weeks passed, my PT sessions felt like full workouts. I was walking three miles a day by seven weeks post-op. Appreciate the kind words JuJu! Did you have a hip replacement? Are you still having trouble with a previous hip replacement in the past? Do you still walk with a limp? At On Track PT and Performance we offer a FREE Discovery session to show you how we are different, and can help you and your specific goals! Here is what you need to know about your physical therapy to return faster, stronger, and more explosive than ever! 1. Autograft– The surgeon will reconstruct the ACL tear with a segment of your patellar tendon or a graft from your own hamstring. 2. Allograft- The surgeon will reconstruct the ACL tear from a cadaver’s tendon. Establishing full range of motion is imperative after ACL surgery to a successful return to sport. Your physical therapist should be checking this frequently, and you should be working on it constantly. A big part of this stage is restoring basic movement patterns again, such as the ability to squat without off loading your surgical leg. Many people struggle with this without realizing it. If you are just handed a sheet of paper to perform exercises and nobody with a skillful eye watching over you, that's a problem! The game changer in these early stages are finding a way to actually build muscle. At On Track Physical Therapy, we are the first in the area to start utilizing a technique called blood flow restriction training. This type of training has been proven through research to build muscle with very low loads (using bodyweight only). No other training technique has been shown to do this. 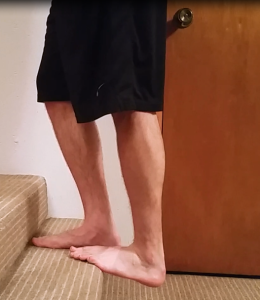 Starting to include single leg activities to restore hip, knee, and ankle control through ground based movements. This is essential, as research has shown that these factors play a very important role in preventing an ACL tear. Also during this stage, your physical therapist should have access to equipment that allows you to start gradually loading the body through true resistance training to stimulate further muscle strength and work capacity. If all that you are doing in therapy is using stretch cords, leg press, a bosu ball, and bodyweight exercises you cannot achieve the strength needed to compete and become injury resistant. Remember you also have 3 other limbs that are not injured, so you can be training these body parts at the same time. Starting to create an environment that is specific to the sport or sports you play. This is extremely important as it will best prepare you for the demands of your sport. Your physical therapist better have a good understanding of the demands an athlete takes while competing. They also need a facility that has the room available to create an environment most conducive to your individualized rehabilitation. This stage should really focus on power output and dynamic exercises. Your therapist should have a way of measuring this capacity and compare it between your surgical side and non surgical side. This information gives you the best summary on if you are truly ready to return to sport. If you are having ACL surgery or still struggling with regaining full athleticism post surgery, be sure to pick up your free report today. Click on the image below for your FREE download. Ann Arbor, Mi - Blood flow restriction training (BFR) has been around for a long time. However it is a relatively unknown tool in the physical therapy world. 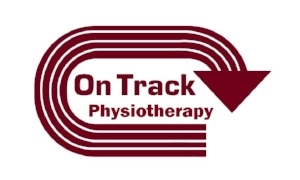 On Track Physical Therapy is one of the few clinics in the state of Michigan that has access to this modality, and to my knowledge the first in Ann Arbor, Mi. How can blood flow restriction benefit my physical therapy treatment? Blood flow restriction training involves wrapping a pneumatic cuff around ones extremity and systematically compressing a working limb with the intent to restrict the clearance of blood flow away from a working muscle during rest periods. The restriction of the venous system while still allowing arterial flow will cause a buildup of metabolic muscle byproducts and lead to the enhanced activation of specific muscle growth pathways. Prior to blood flow restriction training, the only previous way to achieve muscle adaptation was with repeated bouts of High Intensity training (HIT). HIT style training via the American Sports College of Medicine (ACSM) has been defined as intensity levels of 65% up to 85% of a single repetition maximum (1RM). Blood flow restriction training can achieve similar if not better results for inducing muscle growth when compared to what has been traditionally observed with higher intensity training (HIT). Historically muscle adaptations such as muscle size, strength, and endurance have only been seen with high intensity bouts of exercises repeated over a duration of time. What blood flow restriction training has shown, is that similar if not better results can be achieved with this type of training. Taking this back to the physical therapy setting. Often times due to pain or a surgical lifting restriction we are not able to increase strength during this time. As a result muscle atrophy takes place which will lead to a longer recovery time frame. Furthermore, some individuals may actually be non-weight bearing for an extended time period due to an injury or surgery. Muscle atrophy or loss of strength happens rapidly in these patients (as quick as 2 weeks) because the inability to use the limb or apply any type of resistance activity. Blood flow restriction training is the answer to these problems. Research has shown you can make gains in muscle size, strength, and endurance VO2Max with as little 20-35% of 1 RM and 40% VO2Max settings respectively. These implications are huge to decrease recovery time and returning back to function quicker, allowing us to make true muscular physiological adaptations. Is Blood Flow Restriction Training Safe? Other than a DVT or uncontrolled blood pressure, there are very few absolute contraindications to use this modality. When properly monitored and using pressure that has been shown effective through research, blood flow restriction is a very safe modality in all populations. Please contact On Track Physical Therapy today if you’d like to maximize your rehabilitation process and speed up your recovery. Click the image below to claim your FREE Sports Injury Guide! The Radial Nerve glide is often a neglected or forgotten assessment/treatment for a variety issues related to the neck, shoulder, elbow and, wrist. The radial nerve glide can have profound impact on improving shoulder internal rotation (reaching behind the back) and lateral elbow pain or tennis elbow. At On Track Physical Therapy, we also have found this to be very beneficial for a lot of rotator cuff repairs early on when used properly or performed through modified ranges of motions when restrictions exist. So what should Physical Therapy look and feel like? There are many things to consider when choosing which physical therapy clinic is right for you. Over the next few weeks I’m going to offer a few suggestions for things to think about, or even ask other therapists about, prior to beginning a course of physical therapy. Some things should be fairly obvious such as will you see the same therapist each visit? How much time each visit will I spend DIRECTLY with my therapist (not supportive personal)? How many visits per week? and so forth. 1) Movement Based Approach: my previous blog entries Don’t Put Fitness on Dysfunction and Movement Proficiency and the Ankle describe how looking at patterns of movement are critical to narrowing down where the cause of the pain is coming from. Just because your back hurts doesn’t mean it’s the back’s fault. Your back may just be the victim of poor hip mobility below and poor Thoracic and ribcage mobility above just to name a couple. A simple model I discuss in those previous posts is the Joint-by-Joint model of alternating mobility and stability requirements. Following the traditional physical therapy model, you’re probably not going to find the connection (Instead the pain in the low back is generally the only focus). Don't get the wrong impression. It's not that the low back does not deserve to be treated to reduce pain and inflammation. That absolutely must be done! But if that is all that is addressed, then chances are your low back symptoms will be back sooner than later. The Selective Functional Movement Assessment is a quick and effective way to determine the person’s most dysfunctional movement pattern. The object is to determine which pattern is the most dysfunction, and then break that pattern down into it’s component parts to find the impairment. So for example, if someone cannot touch their toes, it could be a lack of mobility in the spine, hips, hamstring, or even a lack of core stability and poor breathing mechanics. Your therapist must have a way to find that answer! If you’ve ever been to physical therapy for your back, I can almost guarantee you were told you must stretch your hamstrings. Am I right? Well if you can’t touch your toes, of course your hamstrings will feel tight. Lacking mobility in your spine or hips will limit your toe touch and make it seem like your hamstrings are tight. It’s probably only the hamstrings 25% of the time at the most. Unfortunately many people are spinning their wheels in physical therapy because they are not working in the right place at the right time. I can’t tell you how many people have told me that they have failed a trial or two of traditional PT, injections, massage, etc. 2) A Soft Tissue System: at On Track Physical Therapy I use the IASTM because of the great results I’ve had treating all types of soft tissue injuries from tendinopathies. From plantarfasciitis, to contusions, scar management, and more. I also utilize Dry Needling to address soft tissue dysfunctions. Granted this treatment is not for everyone, but it defiantly could be a viable option. Some sort of soft tissue release may be needed to allow for a window of opportunity to access greater movement. It is the exercises job to then lock the new movement into place. Very often even above and below the site of pain there will be significant soft tissue restrictions that should be addressed. As I mentioned earlier, using a movement based approach will allow a physical therapist to pin point restrictions. This way time is not wasted treating irrelevant areas. For example, we know from the literature that very often trigger points in the gastroc/soleus complex (calf) will contribute to plantarfasciitis and even radiate pain to the bottom of the foot. Limitations in hip extension and glute strength will also contribute to the condition. Is your therapist looking that far up the body? So what difference does all this make? Ultimately it can be the difference between actually ‘fixing’ the problem or just addressing symptoms. When we can ‘fix’ the problem (the ultimate cause of your pain), we may never see you again and that’s a good thing. When only the site of pain is addressed, very often you will find yourself back in the Dr. office and back for another bout of physical therapy a few months down the road. At On Track Physical Therapy, our goal is to ‘fix’ the problem, and to give the patient the tools necessary to prevent a recurrence. Contact us anytime with questions about our methods, and how we can help you if you’ve been unsuccessful with other methods of treatment in the past. This is why we offer a Free 15 minute consultation to address any of your concerns! Plantar Fasciitis (Ann Arbor, Mi) - Anybody who has ever experienced plantar fasciitis before knows that it can be a very frustrating process. Heel pain impacts just about every daily activity that involves standing or walking. Maybe your pain is not quite as bad, but it has prevented you from running or working out as you love to do so much. It is estimated that approximately 1 million patient visits per year are due to plantar fasciitis. It is also estimated that it may account for 8% of running injuries. Plantar fasciitis refers to a strain in the muscle tissue on the bottom of the foot. Often times the area that becomes strained is on the inside portion of the heel. This is the area where most of the pain occurs and can often be very sensitive to pressure, touch, or weight-bearing. What causes this painful experience to occur? 1) A sudden increase in activity that your body was not prepared to handle. 2) A lack of variability in movement. 3) An accumulation of repetitive physical stress without ample rest. However, once you have reached the tipping point and pain has occurred, your body will start to heal itself naturally through a very normal process called inflammation. Yes, you read that right! A very beneficial and normal process called inflammation. The inflammation process is needed for the body’s natural healing process to start. Insulin growth factor is brought to the injured area for new collagen to lay down and build tensile strength back up. If you never addressed the three causation factors described above, or never did anything to help influence the inflammation, repair, and remodel phases the body naturally goes through; then chances are the pain will linger on longer than normal. Maybe you have experienced plantar fasciitis for quite some time now, and had an x-ray performed. Upon results of the x-ray, you may have been told that you have a “heel spur.” If you get one thing out of this article, please do not be intimidated or frightened by a “heel spur.” It’s not like what it sounds. I will use quotations around “spur” because you will not hear me say this word. Understand that a “spur” most likely develops due to a failed healing response. The inflammatory response probably was triggered from one of the three causation factors listed previously. Again, inflammation is good because it will start the healing process. However, if then never allowed or influenced to both repair and remodel, the cycle may restart all over again as the body tries to autocorrect. Multiple restarts during this process can lead to an excessive buildup of osteophyte formation. This excessive buildup can start to form what would be considered a “spur”, but don’t get too anxious on me! Research has shown that this doesn’t necessarily always correlate with plantar fasciitis. A study by Cornwall & McPoil, reviewed x-rays of 1,000 patients and found only 13.2% had heel “spurs”. Of these, only 39% reported heel pain. Yes, you read that right. Less than 50% of “spurs” caused pain. So what can we do about all this? The recovery process can be slow at times. Resolution for a case of true plantar fasciitis has been reported as long as 6-18 months in some cases. This can become increasingly frustrating when each waking morning you take the first few painful steps. Chances are you have been told that you need better shoes and have to perform a series of stretches religiously throughout the day. While both are great suggestions and often provide some, if not complete relief in the long term, the short-term results tend to be less than desirable. High load strength training to the plantar fascia appears to be beneficial as well. Self-myofascial release also gets a lot of publicity to treat plantar fasciitis. Maybe you have been told to roll a tennis ball or lacrosse ball on the arch of your foot. This method can be effective, but not for the reasons you may have been told. Contrary to popular belief, you are not elongating the plantar fascia or breaking up scar tissue. Research has shown that it takes 460kg of force to increase the plantar fascia length by 1%6. I doubt someone’s thumb or a lacrosse ball is going to create this amount of force. Rather, there is probably a neurological mechanism that occurs which temporarily reduces tone/guarding in the musculature. While the research definitely supports these methods to reduce pain, it still can be a time consuming process. Furthermore, all these strategies can be implemented without a healthcare provider. This is where On Track PT and Performance is different. We know you can perform these methods in the convenience of your home, so we don’t expect you to come in 3x per week and watch you perform exercises that you are already doing at home. We treat patients 1x per week, every other week, or in some rare cases 2x per week. For treatment, we focus on highly trained techniques with research that has shown to decrease recovery time. Less therapy visits and a potentially faster recovery time! Sound interesting? Again, the chances we are actually deforming fascia are slim here, as mentioned in the research above. If a clinician thinks they need to perform this technique aggressively and cause an excessive amount of discomfort to get results, they should reconsider why they have chosen this treatment modality. Rather, what is probably happening via mechanical stimulus is increasing blood flow, temporarily reducing tone, and influencing cellular mediators to start remodeling tissue in a more resilient way. With all these benefits, it is understandable why this, in conjunction with stretching/strengthening, has been shown through research to possibly speed recovery times. Physiologically, it has a much greater physiological and neurological effect than IASTM. This is due to the increased stimulation that occurs when a needle penetrates the skin. Even more stimulation occurs when therapeutic electrical stimulation is then hooked up. Dry needling in conjunction with electrical stimulation has been shown to have an inhibitory effect on pain through opioid release. These effects can potentially lead to much better short term results. Click the picture below to find 9 ways the pro's recover FAST from injuries! Riddle DL, Pulisic M, Pidcoe P, Johnson RE. Risk factors for Plantar fasciitis: a matched case-control study.J Bone Joint Surg Am. 2003 May. 85-A(5):872-7. Cornwall, Mark W., and Thomas G. McPoil. "Plantar fasciitis: etiology and treatment." Journal of Orthopaedic & Sports Physical Therapy 29.12 (1999): 756-760. Fasciitis, Plantar. "Plantar fasciitis: diagnosis and therapeutic considerations. "Alternative Medicine Review 10.2 (2005): 83-93. DiGiovanni, Benedict F., et al. "Tissue-specific plantar fascia-stretching exercise enhances outcomes in patients with chronic heel pain." The Journal of Bone & Joint Surgery 85.7 (2003): 1270-1277. Rathleff, M. S., et al. "High‐load strength training improves outcome in patients with plantar fasciitis: A randomized controlled trial with 12‐month follow‐up. "Scandinavian journal of medicine & science in sports (2014). Chaudhry, Hans, et al. "Three-dimensional mathematical model for deformation of human fasciae in manual therapy." The Journal of the American Osteopathic Association 108.8 (2008): 379-390. Looney B et al. Graston instrument soft tissue mobilization and home stretching for the management of plantar heel pain: a case series. JMPT. 2011;34(2):138-142. Cagnie, Barbara, et al. "Physiologic effects of dry needling." 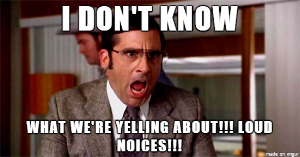 Current pain and headache reports 17.8 (2013): 1-8. Tillu, A., and S. Gupta. "Effect of acupuncture treatment on heel pain due to plantar fasciitis." Acupuncture in Medicine 16.2 (1998): 66-68.